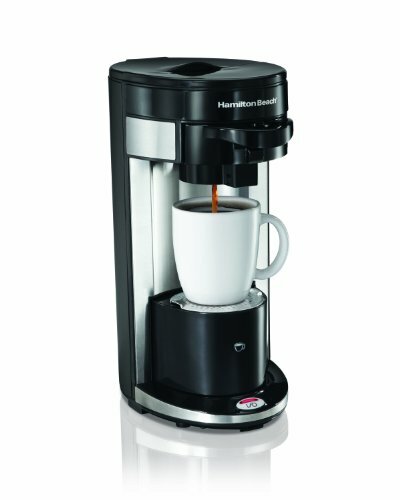 With its sleek contemporary styling, this This Hamilton Beach Ensemble 12-cup coffeemaker not only looks good on most kitchen counters, but it also provides an array of convenient features. 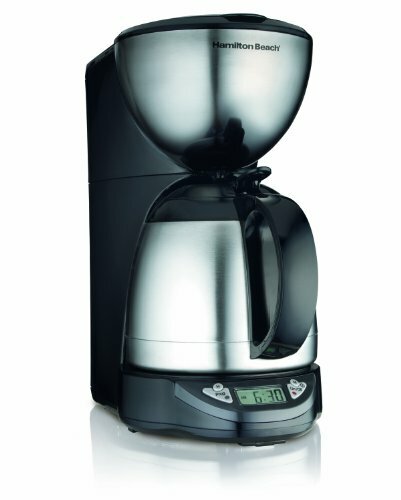 The machine’s user-friendly control panel and digital display ensure ease of use, while its programmable clock/timer function allows for waking up to the aroma of freshly brewed coffee. 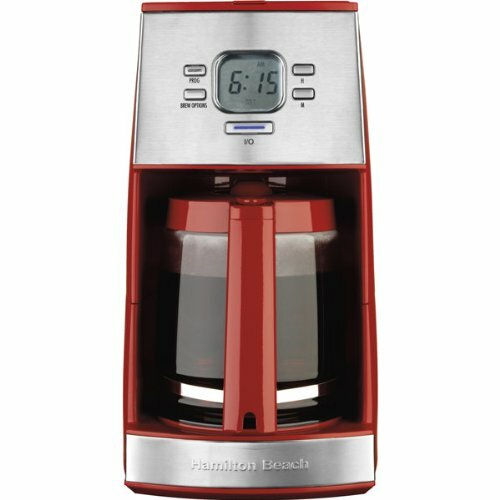 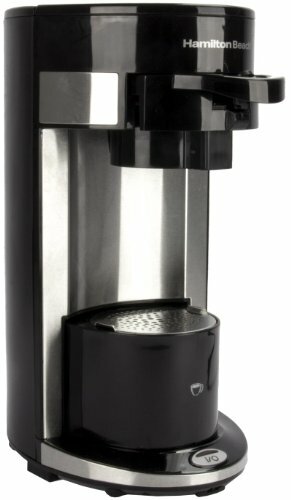 The Hamilton Beach Ensemble’s glass carafe comes included, complete with a stay-cool handle, measuring marks up the side, and a drip-free pour spout. 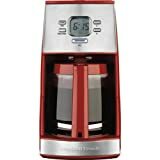 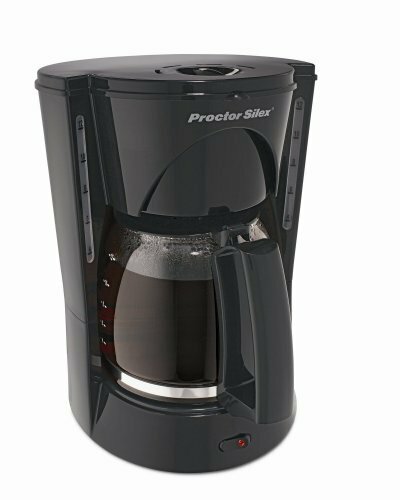 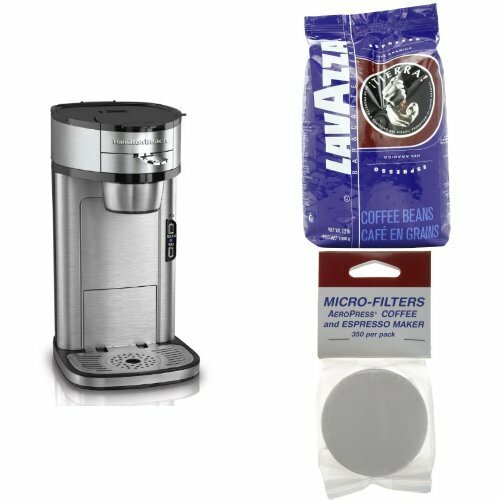 For sneaking a quick cup of coffee midbrew, simply remove the carafe from the machine to pause the flow of coffee, then replace the carafe to continue the brewing process–a nice feature, particularly for those in a hurry for that first sip. 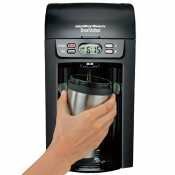 Other highlights of the Hamilton Beach Ensemble include a nonstick hot plate, two-hour automatic shut-off for safety and peace of mind, cord storage, and easy-to-clean removable parts.